It was a night in early March and western New York was being pounded by a typical lake-effect snowstorm. As I plowed through the snow that was quickly accumulating, I tried to stay focused on the road to avoid any mishaps. I caught the image of a deer crossing sign out of the corner of my eye. These deer crossing signs are littered all over the countryside, they serve as a warning to motorists to slow down and proceed cautiously. While I’ve seen plenty of deer on country roads in western New York, I have never seen a deer anywhere near a deer crossing sign. I amused myself with the mental image of lazy county workers driving around and throwing up deer crossing signs wherever they felt like it, swilling Pabst beer from cans, and laughing at the unsuspecting motorists who put false trust in the ill-placed signs. I was jolted from my daydream by a brown blur in the road. Holy crap it was a deer. I slammed the brakes on: the worst thing you can do on slippery roads; I was skidding out of control. Quick, I thought, steer away from the skid. No wait, that’s wrong you idiot. It was too late. I had slid off the road and into a ravine. Everything was going black. As I regained consciousness, I found myself in a small country cottage. There was a woman standing over me. She told me that her name was Annie and that she was nurse. Even though it seemed that I only had a bump on the head, she told me that I was badly hurt and that I needed rest. She seemed kindly, not at all unhinged or sinister. She told me that she read my blog and that she was my number one fan. I let her read something new that I was working on. It was a new passion of mine: Jersey Shore fan fiction. I informed her that I was done with humor and that Jersey Shore fan fiction was now my entire focus. She became enraged and dumped hot soup in my lap. She quickly apologized and claimed that it was an accident. “What about the fork you stuck in the side of my head?” I demanded. She became flustered and stormed from the room. I knew I had to get out of there. I pulled the fork from the side of my head and began to gather my things as quickly as possible, hindered by the fact that my scrotum had just been scalded by piping hot split pea soup. I made it as far as the front door when I heard a chilling voice from behind me. “Where do you think you’re going?” she growled. I peed a little bit. Something clanged against the back of my head, and everything went black again. I awoke again with Annie standing over me. This time I was strapped to the bed and Annie was holding an ax. “Don’t break my legs,” I pleaded. “I’m not going to do that,” she said. “What? Where are you getting this?” she seemed confused. “You’re using very hurtful words,” she said wiping a tear from her face. “Of course you’re wearing adult diapers–who has to wash those sheets, me or you?” she demanded. “You I guess,” I said meekly. “That’s right. And I’m holding this ax because I was chopping firewood so that I can build a fire to keep you warm. You don’t appreciate anything I do for you.” She threw the ax to the floor, grunted in indignation and stormed from the room again. I didn’t see her for hours. When she returned she was very calm and she had an emotionless look on her face that frightened me. I refused. I would never sully the purity of Jersey Shore by mocking it. “Hello, I’m Doctor Phil, and I’m here to talk about your feelings.” Dr. Phil entered the room like a giant bald horror. “I don’t want to talk about my feelings,” I blurted out as fear gripped me. “Then we’ll talk about how your feelings effect the feelings of others, and how effecting the feelings of others effects how you feel.” His voice was a relentless monotone. “I felt that you might feel that way.” His head was shiny and his voice was hypnotic. “Break both my legs; I only use them when I walk,” I pleaded, but Annie had left the room. “I LOVED YOU IN FRIED GREEN TOMATOES!” I screamed through the wall. I wrote the post that she wanted. 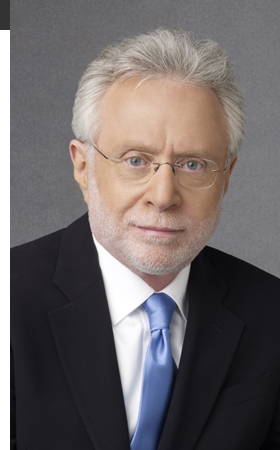 It was about how CNN’s The Situation Room would be different if it were actually hosted by The Situation, instead of that pasty-faced, abless dullard, Wolf Blitzer. The Situation thinks NAFTA is where you get auto parts. It was brilliant political and social commentary. If Dave Barry had read it, he would have thrown roses at my feet…or rocks at my head. When Annie read it, she wept tears of joy. I convinced her to undo my constraints so that we could celebrate properly. “There’s one problem with this post,” I told her as she poured the champagne, “nobody’s ever going to read it.” I grabbed the laptop and hurled it into the fireplace. It shattered into pieces and began to burn. As Annie fell to her knees screaming, I made my escape. I’ve tried to write Jersey Shore fan fiction since then, but the pain is too great. So I am stuck writing this pathetic little humor blog. I’ve started wearing adult diapers all the time; I like the freedom they give me. Seriously. You can’t spell out the word cross? LMAO! You had me howling as soon as I read about the cabin and Annie, I could see it clearly! I can’t figure out why doctor Phil was there? ?and I noticed….You have more Cat fans then Eartha Kit! and your the President of the “Jersey Shore” Fan club?? Your full of surprises! You do realize that she flung that poor deer out into the road in front of you? It’s a classic, if painfully complex, trap. Okay, the human is home sick today and hasn’t been able to talk and now you just made her burst out laughing and coughing and sneezing again, and now I have yuk lister to her froggy voice again. Thanks dude. Your posts are addicting and now she’ll be reading them all day and coughing and disturbing my beauty rest. Flippin human! Sorry about your beauty rest, I’ll go back to the Jersey Shore fan fiction. The air is thick with anticipation. You can’t buy auto parts at NAFTA anymore? Only if they’re from Mexico.